We’re a professional graphic design studio and we love working here. A good cover can make a difference between a bad and great selling book. 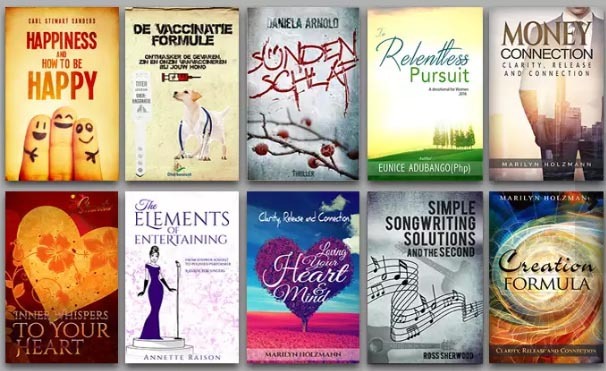 In this gig we’ll create a unique, professional and attractive book cover, be it for print (CreateSpace) or web (Kindle and similar), that will surely make a positive impact. Our 100% positive rating on other freelancing platforms after over 7000 orders completed successfully and our portfolio proves that we are the best selling book cover designer. Inbox us to see our past work designs. – OR 1 flat cover for Amazon, Kindle and Smashwords, Etc. Please provide all details requested in the instructions after you order, without that we can’t start working. We’re happy to do fixes/changes until you’re satisfied. We also offer 100% satisfaction. Get a professional Ebook Cover designed in 24 hours is ranked 5 out of 5. Based on 5 user reviews.